This play tells the story of a young lady who has suffered a tremendous tragedy in her life. Guided by a pair of circus clowns and a magical ringmaster, she travels to the circus and derives inspiration from the performers. 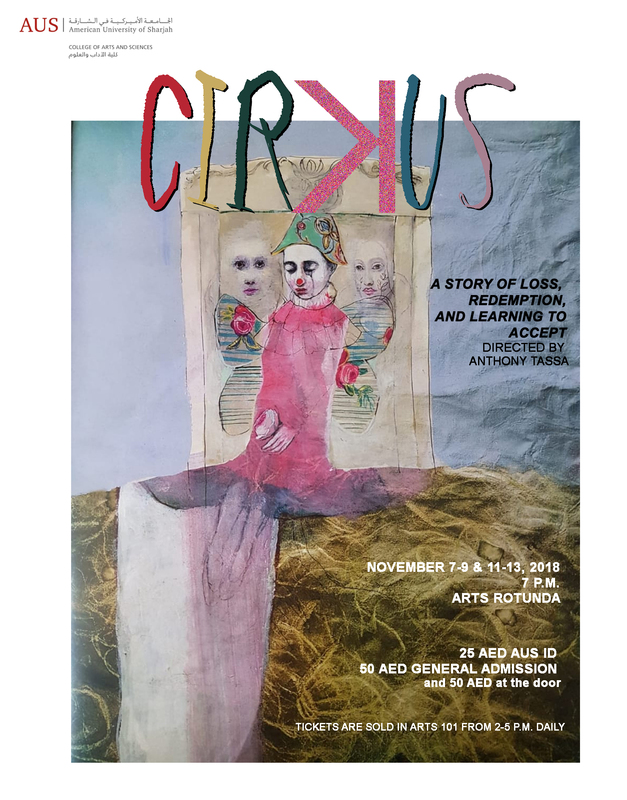 This production will be developed by the student-actors through the rehearsal process and will represent AUS at its Second International Theatre Festival in February 2019. Note: This is not a children’s show, and may not be suitable for children under 6. Seating is limited. Tickets will be on sale in Arts 101 daily from 2 to 5 p.m. starting two weeks prior to the event. For more information, contact oeldahshoury@aus.edu or visit https://www.facebook.com/PerformArtsAUS.